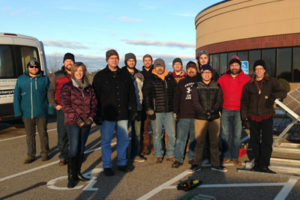 The MREA’s Twin Cities office opened in fall 2015 and works with Minnesota contractors, organizations, and local partners to expand PV development in the state, educate consumers, and offer professional training opportunities. Since the office opened, we have reached over 1,200 Minnesota residents through public education sessions and deployed over 100 kW of solar. This work is funded by the US Department of Energy’s Rooftop Solar Challenge Grant. 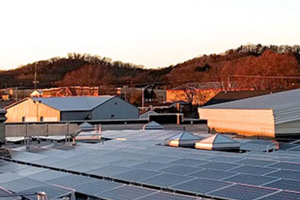 With more than two decades of experience in solar energy projects, the Midwest Renewable Energy Association (MREA) is offers technical assistance to help institutions develop highest value, lowest cost solar photovoltaic (PV) projects. Though the financial performance of a PV project may exceed return requirements, it can be challenging for institutions (e.g. municipalities, universities, schools, hospitals) to define projects that meet their needs and to engage the private market to procure the best services available. The Minnesota office supports MREA’s Minnesota Solar Training Academy. The Solar Training Academy is a series of weekend classes from January to March. The Solar Training Academy provides students with industry-leading solar professional training from beginning to advanced levels. 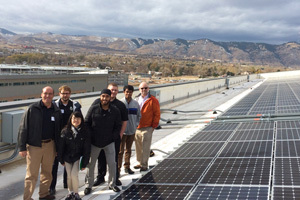 The Academy prepares students for careers in the growing solar industry. Upon completion students qualify to sit for the NABCEP PV Associates Exam. Working under the US Department of Energy’s Solar Market Pathways Initiative, the Minnesota office has partnered with the University of Minnesota and other Midwestern universities as part of a multi-campus effort to define pathways for higher education institutions to invest in and deploy solar.